Many people are nervous about using dry ice for the first time. 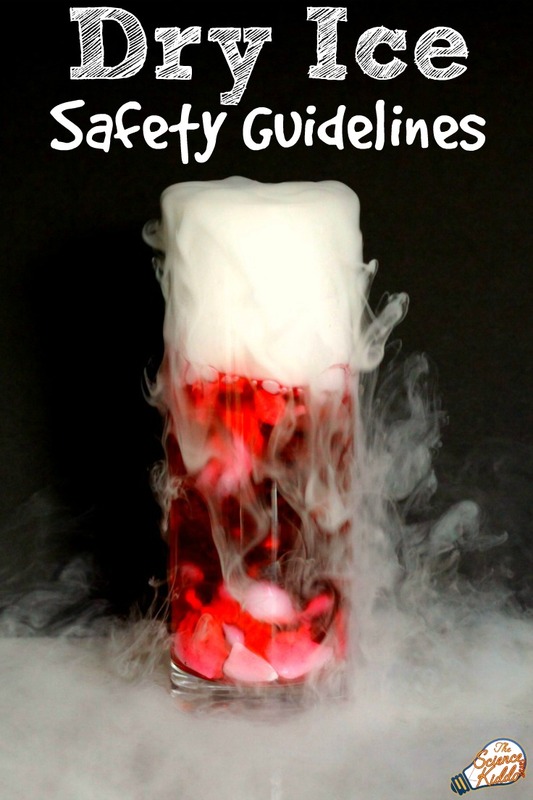 What are the guidelines for dry ice safety? 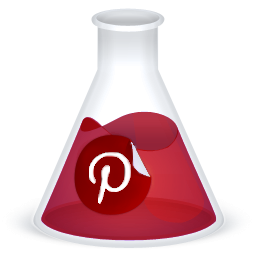 This page will answer all of your questions so that you can safely store, use, and learn about dry ice. 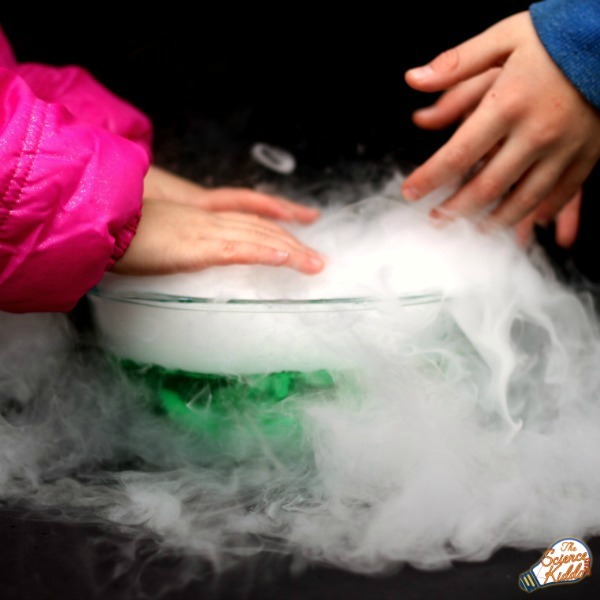 If you are wondering what to do with dry ice, be sure to check out our collection of over 2o dry ice experiments for kids! These are ideal to use in the classroom or at home and provide a unique, hands-on, and memorable learning experience. 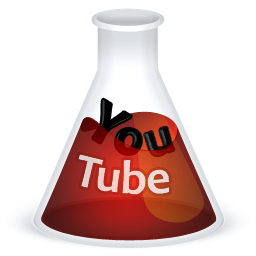 We love doing dry ice experiments, many of which are featured on this website. People often ask me how I can possibly feel comfortable doing dry ice experiments with my preschool-aged children and I tell them that it’s just like anything else we consider dangerous: crossing the street, using a hammer, cooking on the stove, or cutting with a knife. With the proper adult supervision and instruction, most kids can learn to do all of these things safely. That being said, please make sure the children in your care are responsible enough to listen to and follow instructions. As the responsible adult, it’s your job to ensure that these dry ice safety guidelines are followed. Many grocery stores carry dry ice. Use this online locator and call ahead to see if your local store carries it. I have always found it at my Kroger store or at Walmart. How do I handle dry ice safely? Dry ice is extremely cold at -109 degrees Fahrenheit, or -78.5 degrees Celsius. Never touch dry ice with bare hands or let it come in contact with skin. Always use heavy insulated gloves to pick up and handle dry ice. A towel or oven mitt will work for a brief period. Plastic or wooden utensils can also be used to pick up pieces of dry ice. We also suggest wearing eye protection. Amazon sells these kid-sized safety glasses that we use. Do not set dry ice directly onto counter tops or tiled floor as the extreme cold can make these surfaces crack. Keep it in an insulated container or outside (away from children and pets). How do I store dry ice safely? Store dry ice in an insulated container, like a styrofoam cooler. Make sure the container is not airtight. This just means don’t store dry ice in a cooler and then latch the cooler shut or wrap it in duct tape. Never store dry ice in a glass bottle with a lid. 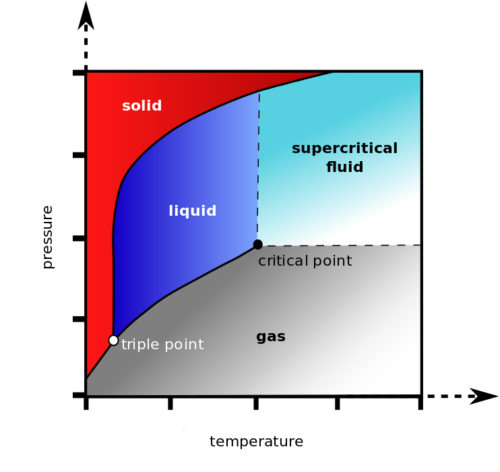 Sublimation is the phase transition of a substance directly from the solid phase to the gas phase without passing through the liquid phase. Dry ice is constantly subliming, making for some interesting dry ice experiments. Dry ice is solid carbon dioxide that is rapidly subliming into carbon dioxide gas. A phase diagram for carbon dioxide is shown below. Under normal conditions solid dry ice starts in the red area and crosses directly to the gray area as the temperature rises. What is a dry ice bomb? A dry ice bomb is made when dry ice is placed in a container with an airtight seal, such as a bottle with a lid that screws closed or any other container where the lid has been secured in place. These are easy to make, but can cause massive personal injury and property damage. We strongly recommend against making a dry ice bomb under any circumstances. It depends how it is stored and how big the block of dry ice is, but in general it will take about 24 hours for a 10-pound block to sublime. What is the visible vapor that comes from dry ice? The vapor you see coming from dry ice is actually condensed moisture from the air. Since dry ice is so cold and sublimation is an endothermic process (it absorbs heat), the water in the air around it freezes, forming a cloud. Many people think that the vapor is carbon dioxide. While it’s true that carbon dioxide gas is being given off rapidly from a block of dry ice, carbon dioxide gas itself is colorless. Can I breathe dry ice vapor? Probably not. You probably shouldn’t try it. Since the vapor is primarily carbon dioxide and water your body will cough if you try to breathe in the vapor directly. This is your body’s defense against breathing in too much carbon dioxide at once. Will I suffocate if I bring dry ice into my home? Just be reasonable and make sure the area where you are working with the dry ice is properly ventilated. We breathe in carbon dioxide with every breath we take, but breathing in a high concentration of carbon dioxide at once could be harmful. We have brought dry ice into our home several times without a problem, but if anyone starts feeling dizzy or out of breath, make sure to open a window and get some fresh air flowing. How do I know if I have breathed in too much carbon dioxide? If your heart starts to race, if you get a headache, or if you start breathing rapidly, step outside for some fresh air. Air out the room that contains the dry ice and make sure it is properly ventilated before going back in. In extreme cases fingernails or lips can start to turn blue, indicating the person is not getting enough oxygen. If these symptoms persist, call a doctor immediately. Can I eat dry ice? No. Just no. Eating dry ice will cause internal burns and can be extremely dangerous. Can I prepare food with dry ice? Yes. It is completely safe to put dry ice into a drink to carbonate it or even to use dry ice to make ice cream and popsicles. Just be 100% certain that all of the solid dry ice has sublimed out of the food before eating it. How do I transport dry ice? Transport dry ice in an insulated container in a well ventilated car. How do I dispose of leftover dry ice? Place the dry ice outside in an area where children and pets won’t touch it and simply let it sublime away. It will be gone within a few hours. Can I touch dry ice? Do not let dry ice come in contact with bare skin as it causes burns. It is safe to touch dry ice using heavy gloves, a towel, an oven mitt, or a kitchen utensil. How can I break a block of dry ice into smaller pieces? We usually use a hammer to break up a block of dry ice. We recently discovered that a hatchet works really well to cut off small and precise pieces. Putting the dry ice in a bag and throwing it against cement outside also works really well. What do I do if I get a dry ice burn? Treat it as you would any other burn. If it blisters or if a large area of skin is affected, call a doctor. Are the dry ice experiments on this website safe? 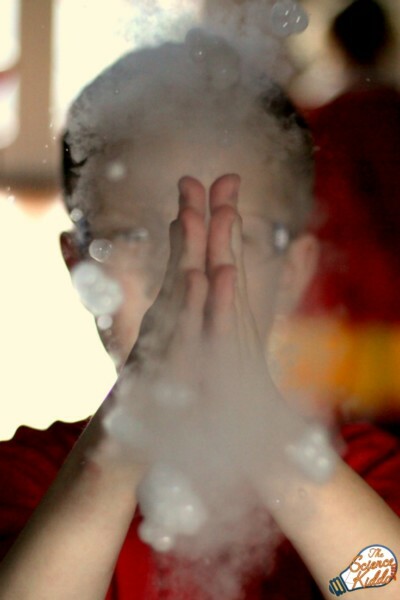 We only feature dry ice experiments that we have actually done with our preschooler and second grader. 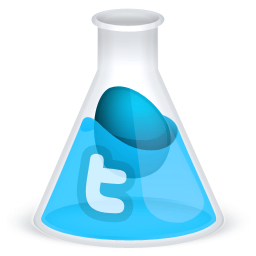 In our opinion, all of the experiments are safe as long as the dry ice safety guidelines above are followed. 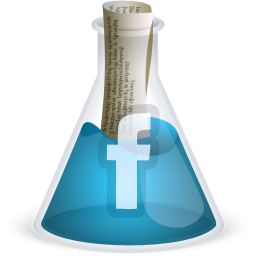 The Material Safety Data Sheet (MSDS) is available for more detailed and technical information. The activities on this blog are intended to be done under adult supervision. Appropriate and reasonable caution is required at all times. The authors of this website disclaim all liability for any damage, mishap, or injury that may occur from engaging in activities presented on this website.